What’s that? Google have rolled out ANOTHER update? Another day, another pesky Google animal!! Google have rolled out a new search algorithm which they say will return better search results. The update itself, called ‘Hummingbird’ actually rolled out around a month ago but announced yesterday (26th September) to the masses at a special 15th year birthday celebration at the garage where the massive search engine company started in California. 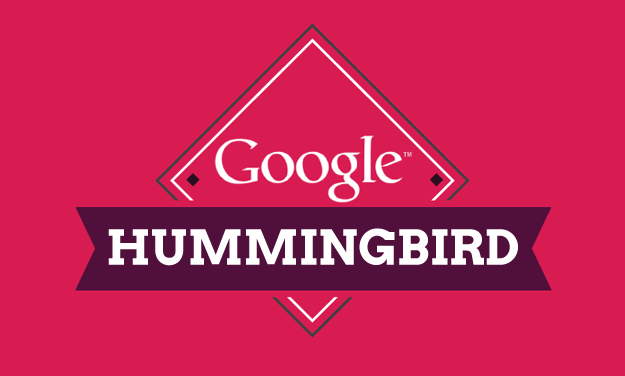 So what exactly IS Hummingbird? Hummingbird is an algorithm change that focuses on ranking sites for better relevance when it comes to people searching for longer and more complex questions and queries. According to Google’s senior vice president of Search, Amit Singhal; the algorithm change will affect around 90% of Google searches wide. This will make it the most significant algorithm change since “Caffeine” back in 2010. How does it work So, as mentioned above, the update targets longer queries that people may be asking the search engine instead of searching for long phrases by individual keywords as it currently does. The point of it is that as the internet evolves, the improvements made to search means that Google does a little bit more of the hard work for you. By answering full questions, Google can give the best answers and makes it easy to have a conversation. What’s the impact on us as SEOs? As it has been over the past couple of years, the thing we need to concentrate on as SEOs is unique, high quality research. The signals that were important to make your SEO campaign successful still remain, but Hummingbird allows Google to process them in new ways. The impact it may have on your SEO is the fact it may become more difficult to appear for your keywords and the traffic to your site may drop, although as the change was rolled out a month ago and you haven’t suffered any decreases in your rankings or traffic, chances are the update hasn’t impacted your SEO. If you have seen an impact on your rankings or traffic, be sure to let us know in the comments below!